This topic contains 0 replies, has 1 voice, and was last updated by Jason Rhody 11 months, 3 weeks ago. 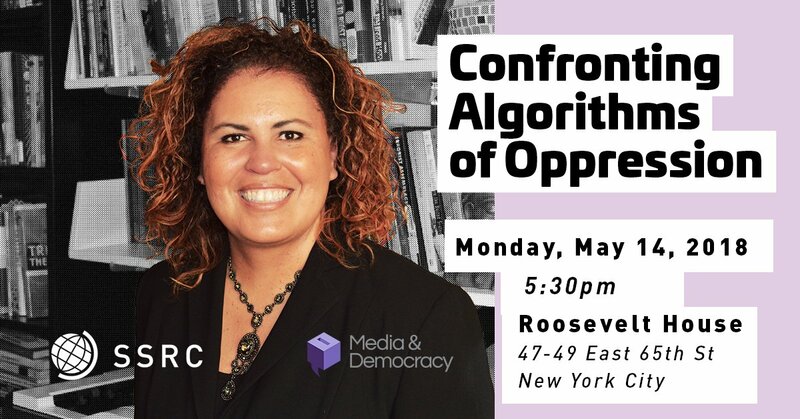 Safiya Umoja Noble, Assistant Professor of Communication at the University of Southern California, will give a public talk on her new book, Algorithms of Oppression on Monday, May 14th at the Roosevelt House at Hunter College. Meredith Broussard, Assistant Professor at the Arthur L. Carter Journalism Institute, New York University and author of Artificial Unintelligence: How Computers Misunderstand the World, will respond. Algorithms of Oppression contests the idea that search engines are unbiased marketplaces of ideas. Rather, Noble argues that search engines reflect the underlying power structures of the societies in which they are built, and often weaken the voices of historically underrepresented groups. Book signing and reception to follow, from 7:00-8:00pm. 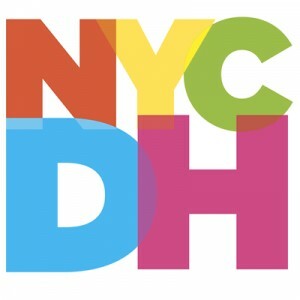 This event is made possible by funding from the John S. and James L. Knight Foundation, The William and Flora Hewlett Foundation, and the Democracy Fund.